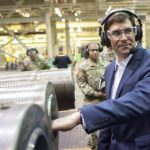 JULY 10, 2018, Fort George G. Meade, MD – In an effort to grow the force to a half million by 2028, the Army must continue to refine recruiting outreach efforts, said Secretary of the Army Dr. Mark T. Esper. 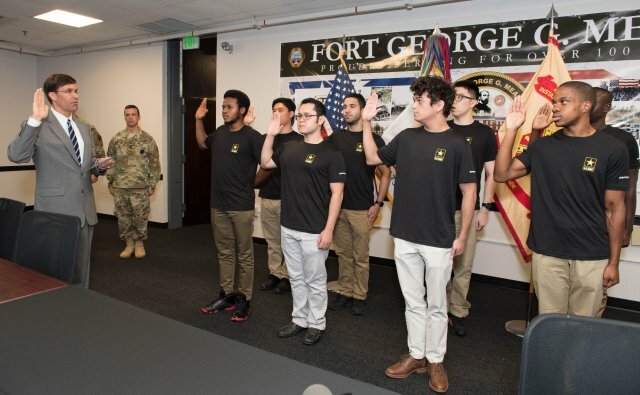 During a brief visit with 1st Recruiting Brigade at Fort George G. Meade, Maryland, on Friday, Esper had the opportunity to swear in eight enlisted recruits for the first time in his career. 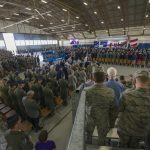 Earlier that day, he also swore in several officers during a private ceremony. 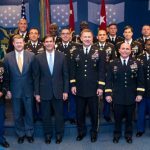 Esper also met with brigade leadership and personnel to discuss ways to improve the Army’s recruitment efforts. 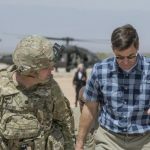 The Army’s ability to protect the nation stems from all the “men and women that have been willing to raise their right hand and swear the oath of allegiance to the Constitution, and to all the ideas embodied in it,” Esper said. 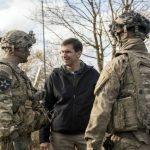 Although the Army provides a wide array of career opportunities, money for college, technical and leadership skills, and credentialing opportunities, Esper said, the Army needs to find better ways to engage with America’s youth. 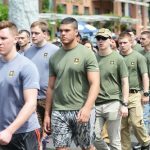 That is especially true since the Army’s recruitment efforts face competition for talent from other services, academia, and the private sector. Finding better ways to engage was a key point of emphasis during the secretary’s meeting with the recruitment brigade. 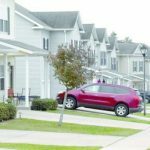 “Next year we’re going to try and grow by another 40,000 and that will probably be the pace we seek to set here for the coming years,” Esper said. Social media will continue to be the platform of choice for a majority of generation Y and Z recruits. 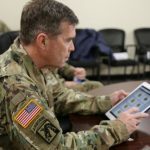 In turn, Soldiers and recruiters need to refine the way they connect with the general population, and the Army must maintain a greater online presence, Esper said. 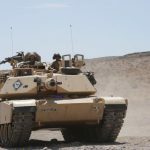 The Army is constantly finding better ways to improve their virtual recruiting practices, according to Col. Dina S. Walder, 1st Recruiting Brigade commander. 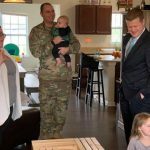 Since the way people communicate through social media platforms is constantly evolving, U.S. Army Recruiting Command in Fort Knox, Kentucky, has the difficult task of staying up to date with online recruiting practices. The brigade also outlined areas in the recruitment and medical process that could potentially be streamlined. Some of those are areas where the Army could help, Esper said. 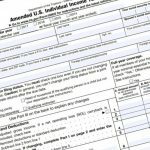 Additionally, the Army has to deal with competition from the private sector — especially when trying to recruit personnel with unique skillsets. But Esper said he thinks the Army still might be a better deal. 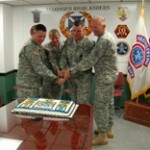 Esper also said there’s an additional benefit to serving in the Army that might not come with civilian employment.